Tummy time happens when your baby lies on his tummy with weight on his forearms and can either take place on the floor or by placing baby tummy down on your own chest. You can also try placing baby on his tummy over your legs while you are sitting or on a bed next to you. Tummy time is essential from day one to help your baby grow strong. 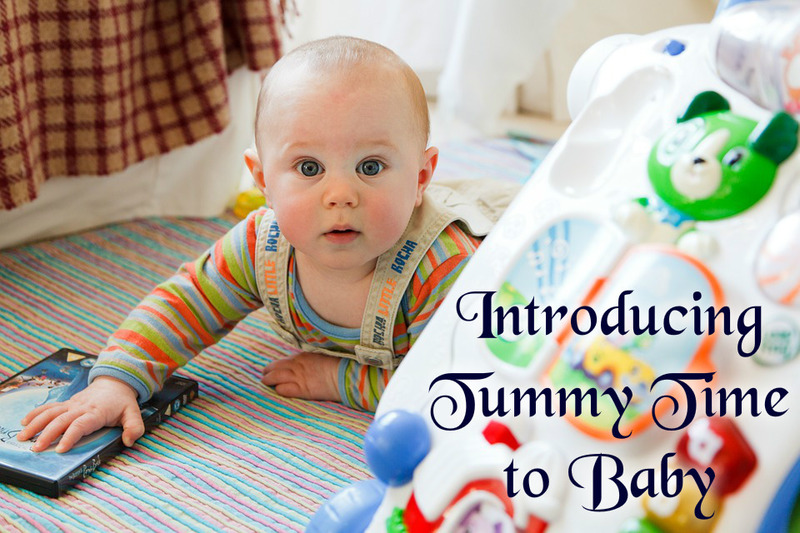 When starting out your baby may fuss or cry when you put him on his belly. If this occurs you may want to start out with just a few sessions daily, each lasting three to five minutes until he becomes used to being in that position. Overtime sessions can become longer and be done several times a day. Prior to placing baby on the floor you may want to lay down a playmat or blanket to help make the area comfortable and safe. Be sure there are no small objects laying close by. Sometimes it helps to prop babies up, giving them a better look at their surroundings. Try placing a rolled-up baby blanket under your child’s chest, increasing the size of the roll as your little one grows and gets stronger. Provide entertainment for your baby. Place some toys such as a noisy rattle, stuffed animal or interesting objects that can be found around the home. Offer a variety of items of various colors, shapes, and textures. Parents can spend some time getting down with their baby to bond and interact. You can lay out some brightly colored picture books and read or point out the objects in the books. Mirrors are also a great choice as babies are fascinated with watching their reflection. This will help keep him interested. Tummy time is important and beneficial to a baby's health and development. It gives the baby's head a break in an effort to prevent flat spots from forming.Tummy time builds head, neck and upper body strength for when baby is older. All of this is needed in the stages of a baby's physical development including rolling over, pushing up and, eventually, crawling. It also helps promote sensory development, allowing babies to see the world from a whole new perspective. 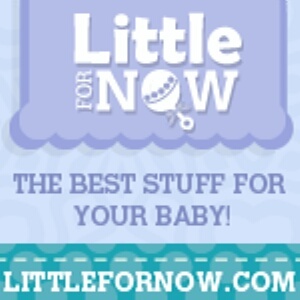 Do you schedule tummy time with your baby?